Not for much longer if the voters have anything to say about it! 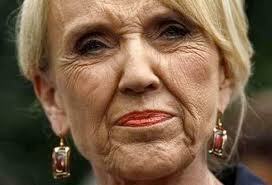 From illegally firing her Redistricting Chairman because she did not like the newly proposed maps, to signing into law the unconstitutional SB1070 immigration bill, Governor Jan Brewer has become the next target of a recall effort in Arizona. Too late to save face Jan … way, way too late.